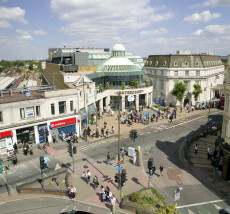 Love Wimbledon has driven forward an agreement with PFRA (Public Fundraising Regulatory Association) to reduce the amount of ‘Charity Fundraisers’ in Wimbledon Town Centre. Wimbledon Town Centre now has an agreed code of conduct for all street fundraisers to adhere to encouraging best practice. Love Wimbledon is aware that charity fundraisers have started to become a nuisance in Wimbledon town centre. As a result an agreement has been reached with PFRA which all charities need to abide by. They have designated three zones allowing a maximum of five fundraisers in the town centre at any one time operating between 10am and 6pm up to 3 days per week.